Mr Hosiah Seabi from Polokwane came to testify about the goodness of God in his life. The 54 year old gave thanks about the car God has blessed him with. 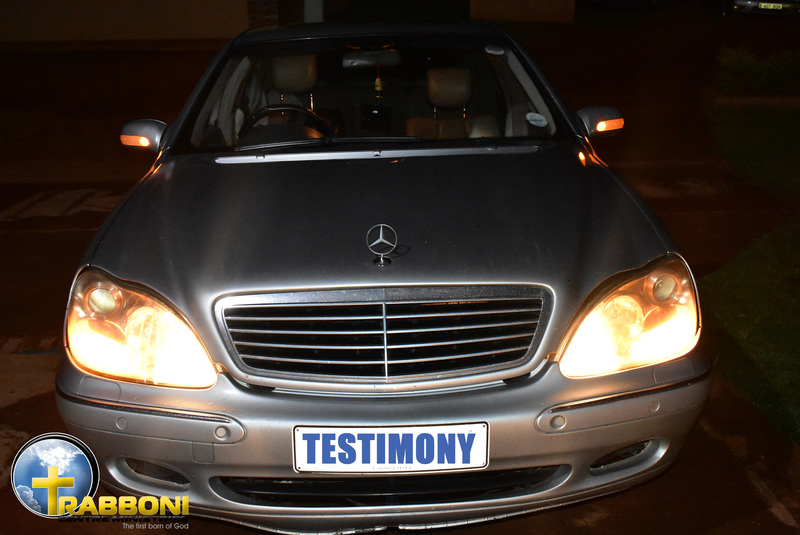 Mr Seabi began his testimony by sharing with congregants his unfortunate experience with the sale of his previous car. He said that sold his car Mercedes Benz to a certain man who promised that he he would also pay for the ownership transfer fees as soon as he had the money. However, the man kept on delaying and Mr Seabi started receiving traffic fine notices. “I got angry with this man because he kept on delaying to pay for the papers of the car and at the same time he kept on using the car” said Mr Seabi. Mr Seabi said that the then reported the car stolen at the police station. In the year 2017, He came to Rabboni Centre ministries to see the man of God Professor Lesego Daniel one on one and told him about the problem he was facing. Our father prayed for him and said all is well. When Mr Seabi went back to Polokwane, he drove passed a car dealership and saw a Mercedes Benz. He said he loved the car and declared that he will have it. He later went to the car dealership and spoke to the sales person about the car and he was told it will be kept. But the problem was that he didn’t have money at that time. As time went by, Mr Seabi received a phone call that there is a person who wants to buy the car because he is taking time to buy it. He then asked to speak with that person who wants to buy the car and spoke to him over the phone. A miracle happened that somehow he received money to buy the car and he went and bought it last year 2018. His second testimony is about the very same car he bought last year 2018. Last year when he was coming to church during the spiritual birthday of our father Prof Lesego Daniel, the car transmission began malfunctioning. Mr Seabi said that he had to manually shift the gears until he reached the church. 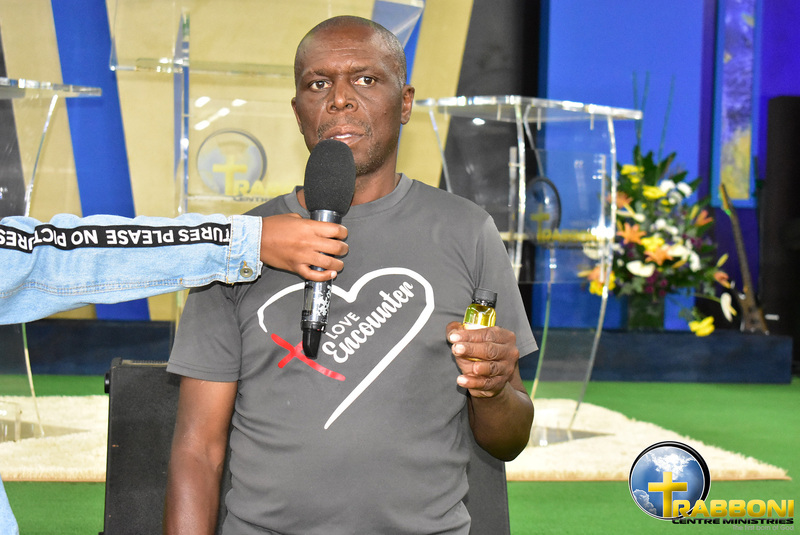 During the service, while it was giving time, he went to the Rabboni bookshop and bought the treasures of darkness anointing oil and he went to his car and poured the oil inside and went back to the church. Then during the prayer line, he took out the car keys out for the man of God to pray for them. But before he even tried to tell the man of God the problem of the car, the man of God said God is with you. On his way back, the car was phone he drove off from Pretoria to Polokwane. On Monday when he came from a night prayer on his way back home, the car started not to function well again. He woke up during the night around 3am and prayed. The Holy Spirit instructed him to check the sump of the car that which holds the gear oil pick up/ the oil pan. He went to check and only to find out that the gear oil pick up was loose. “I would like thank God for keeping me safe because the car wasn’t functioning properly and if it wasn’t for the Holy Spirit, I wouldn’t have been safe”.